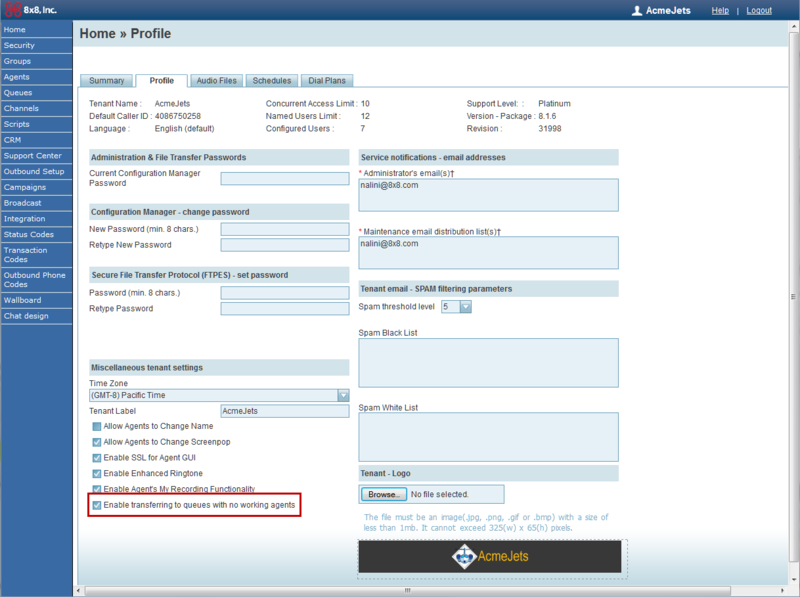 Under Miscellaneous Tenant Settings, select or de-select the option to Enable transferring to queues with no working agents. 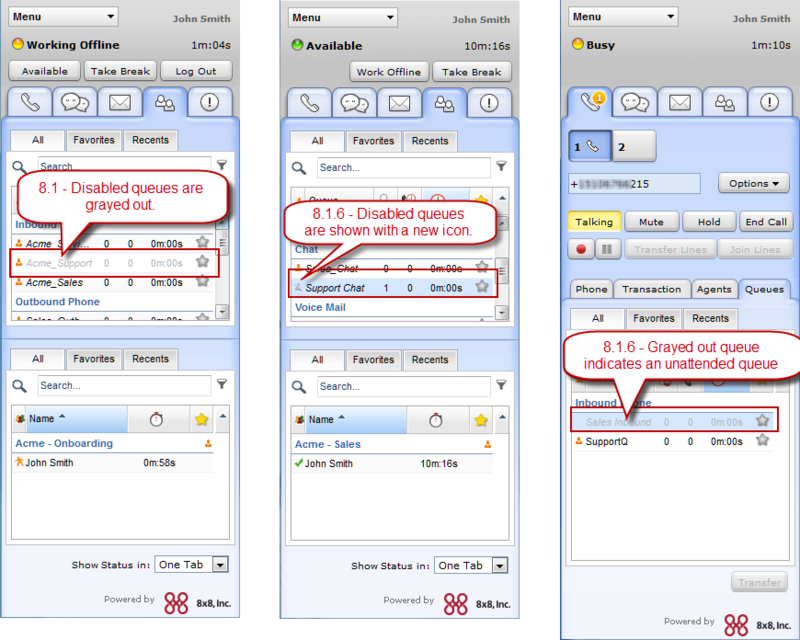 8.1 - Disabled queue: Grayed out queues meant you have temporarily disabled interactions from that queue. 8.1.6 - No agent: Grayed out queues indicate that none of the agents assigned to the queue are logged in at the moment. 8.1.6 - Disabled queue: Disabled queues are not grayed out anymore and are indicated by a grayed out icon .